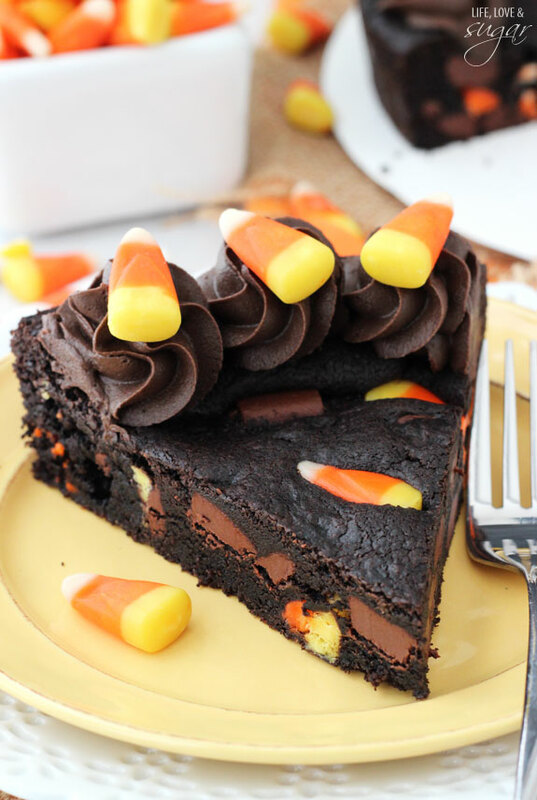 How to satisfy your curious addiction to this Halloween treat. You either love it or hate it. Candy corn proves to be a very polarizing issue. Many of us have wasted hours arguing about this sweet treat, ardently defending our side as either junkies or adversaries. 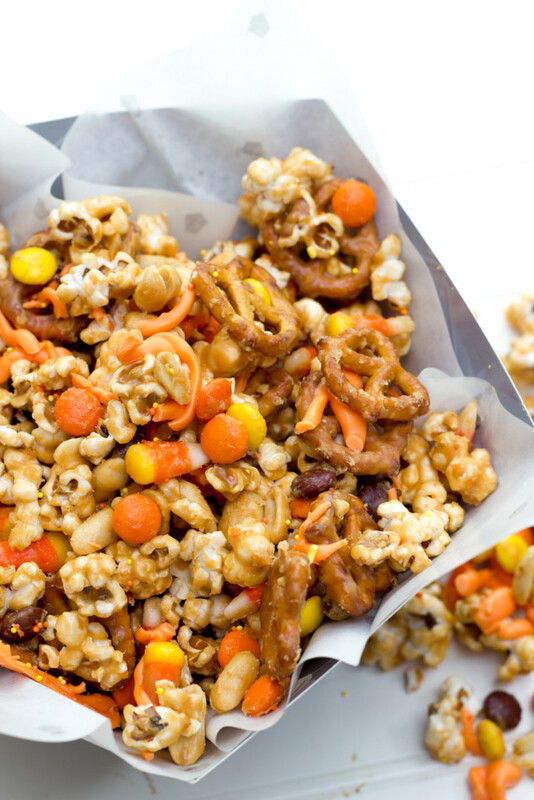 For those who can’t get enough candy corn, see below for 13 curious takes on consuming the miniature treat. 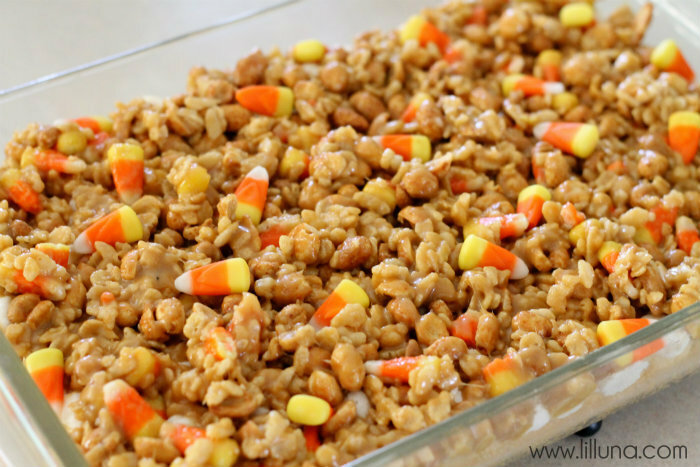 And even if you can’t stand the taste of candy corn, there is no way you can resist the candy corn themed treats in the spirit of Halloween (note: some do not actually contain candy corn). 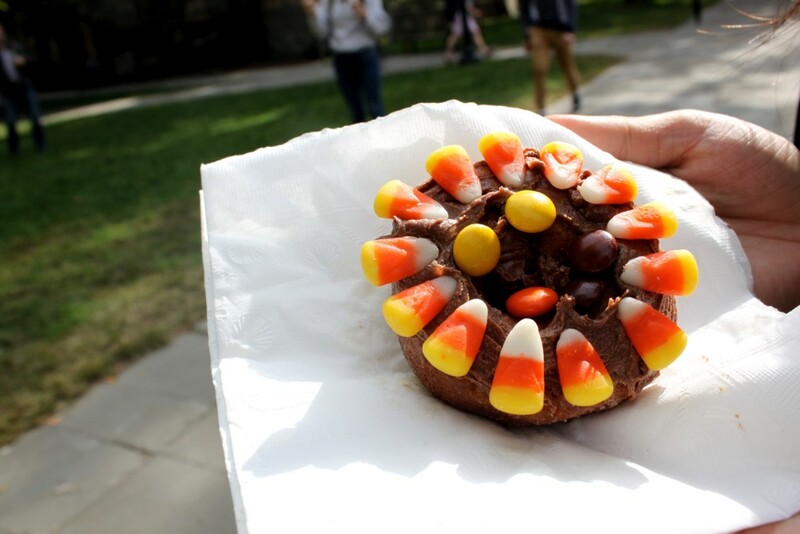 It doesn’t get much more “fall” than this. Featuring the cute little pumpkins too. 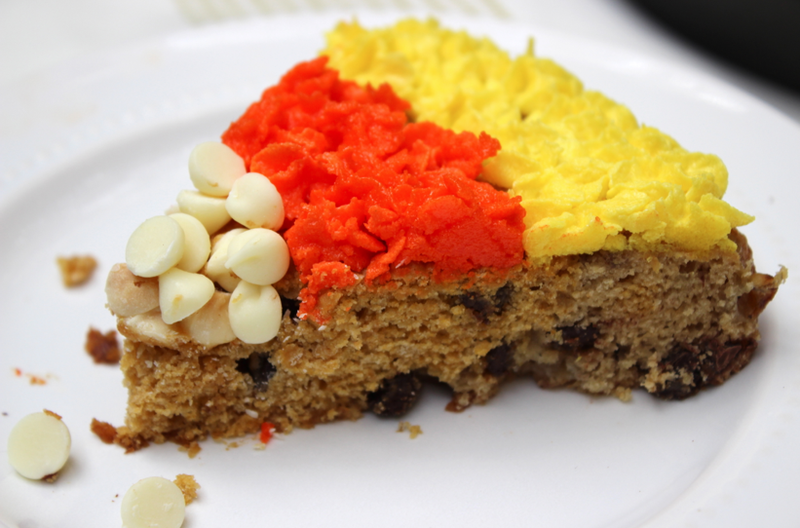 The ultimate cookie cake is obviously packed with candy corn. 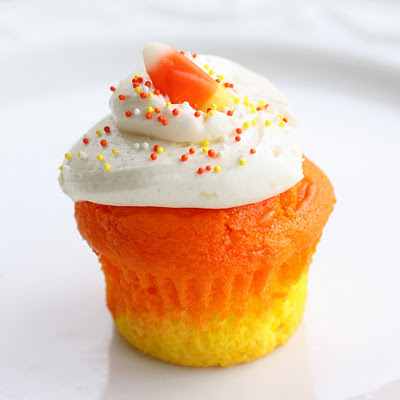 For those candy corn haters: these cupcakes give you the corn without the flavor. 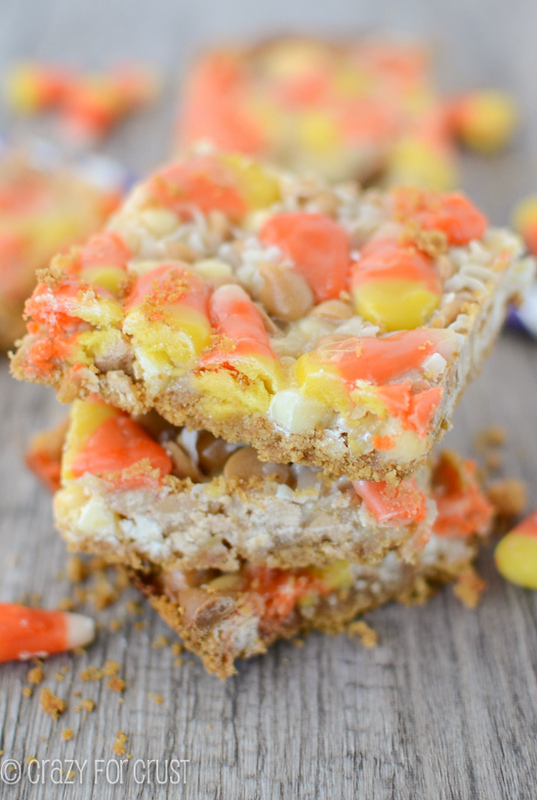 If you run out of sweets to dump in magic bars, why not turn to candy corn? 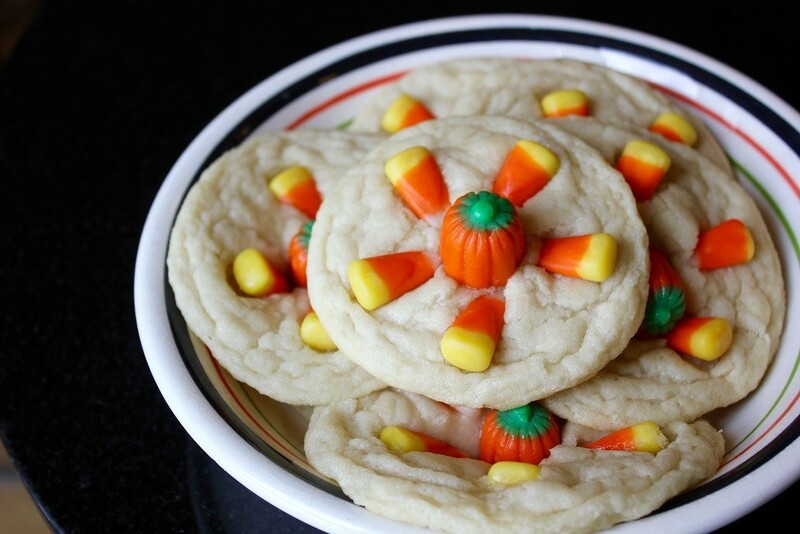 Because they have candy corn Oreos. Rich and decadent. Just like everyone’s favorite Hershey’s Cookies and Cream bars. 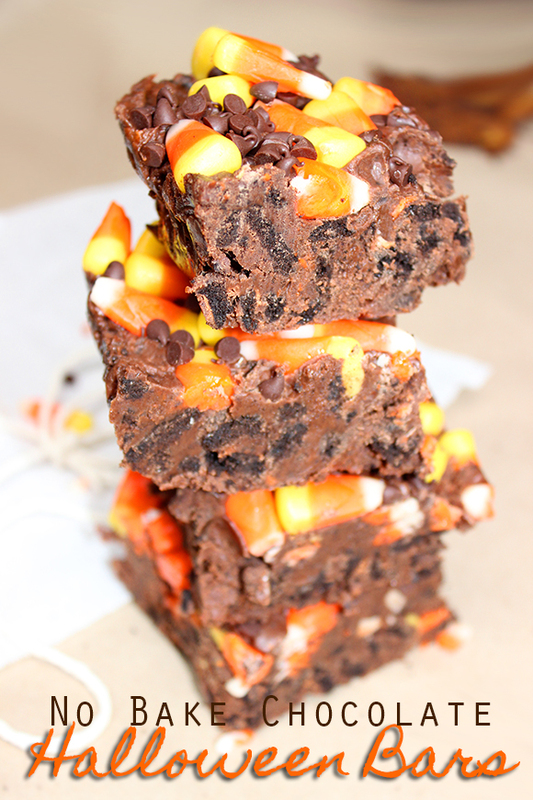 Did you really say no bake? And four ingredients? 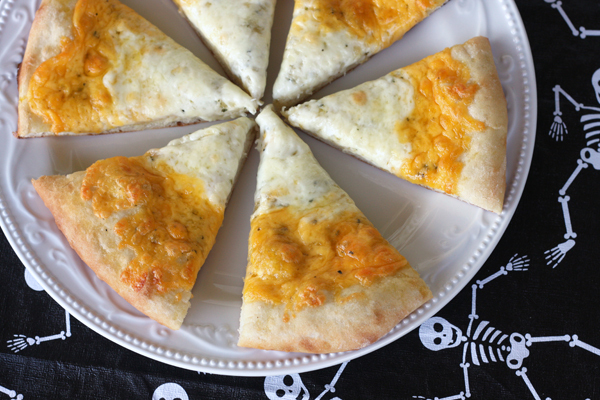 Don’t worry there isn’t actually candy corn in the pizza. 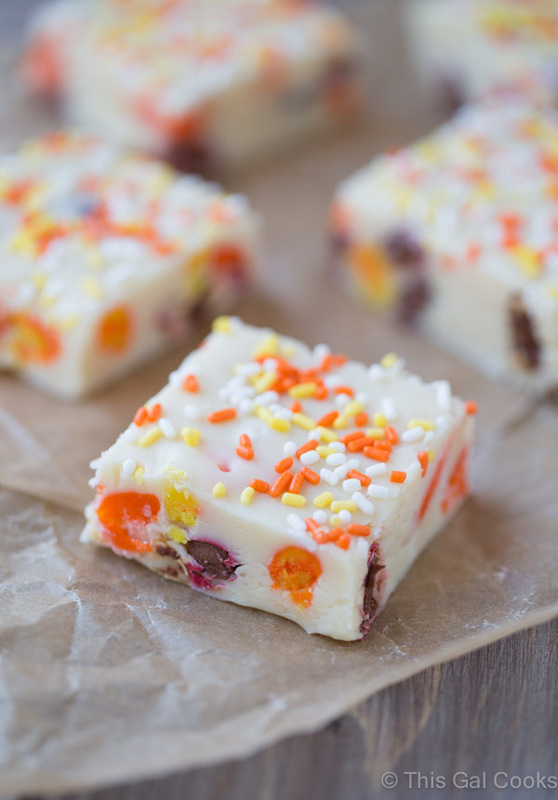 An ooey-gooey layer of marshmallow gives these treats twist on the classic Pay Day bar. 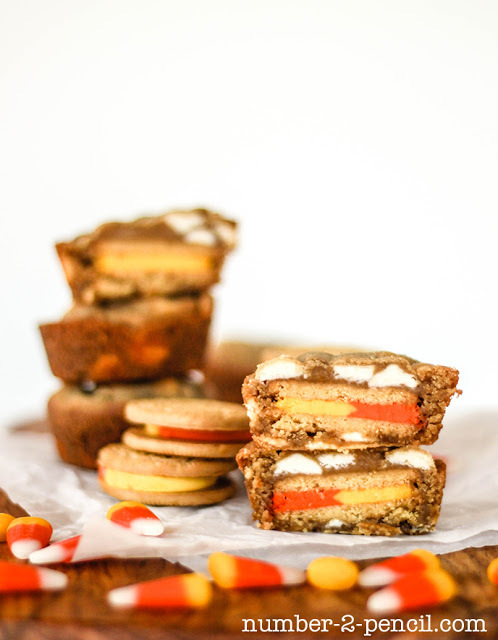 Pumpkin donuts and candy corn. 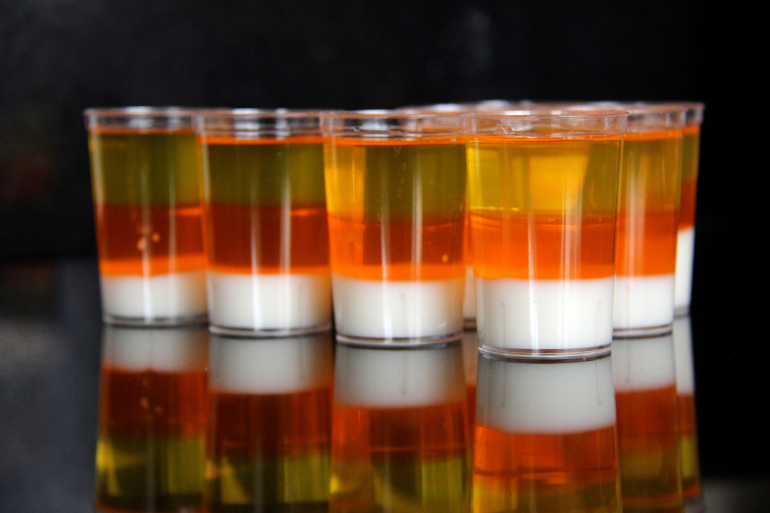 No recipe necessary, just artistic vision.